Welcome to Charlotte Claypoole Photography! 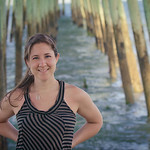 I'm Charlotte Claypoole McKinney, a photographer in the Raleigh-Durham area with years of professional experience. Photography is absolutely my passion in life. To me, photography is more than simply taking a picture - it is about telling a story and capturing a moment in time. If you are interested in more information please contact me at charlotteclaypoolephotography@gmail.com.